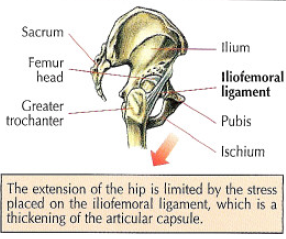 The extension of the hip is limited by the stress placed on the iliofemoral ligament, also called ligament of Bertin. This exercise works mainly gluteus maximus and a little bit of hamstrings with the exception of biceps femoris short head. 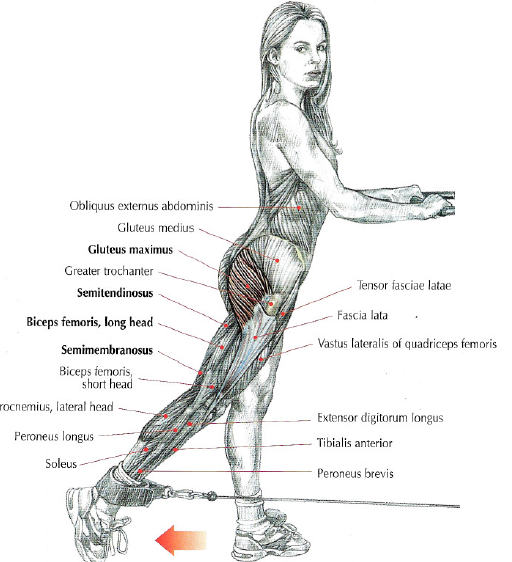 This exercise allows you to develop shapely legs while increasing muscle tone to your gluteals.